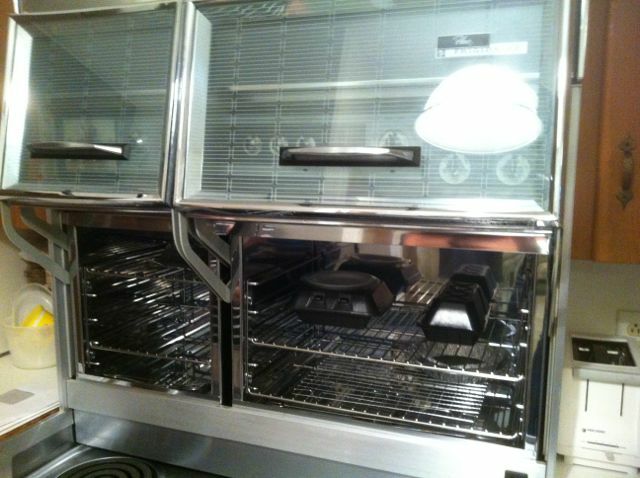 Just wanted to share a quick awesome thing I found this past week. I live in an older neighborhood in North Little Rock, with many residents who were the original owners of the homes built in the 1940s. 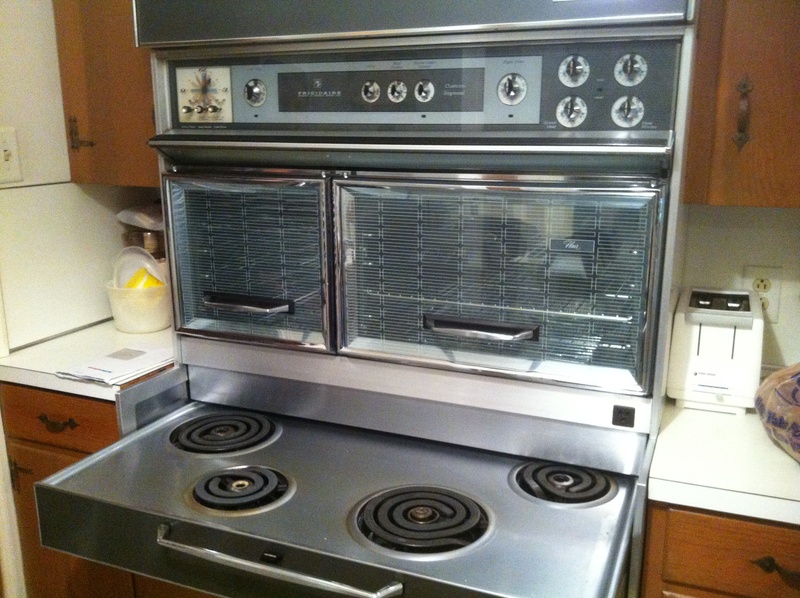 We recently visited our elderly next door neighbor’s home for the first time (we had always visited outside before), and I squealed when I saw this beauty in the kitchen. 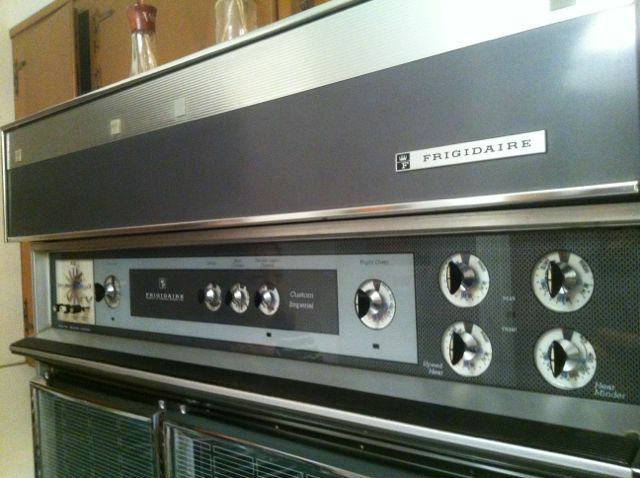 Apparently she never cooked much, so this Frigidaire Flair built-in that was added around 1960 still looks brand new. I mean, how awesome is this? 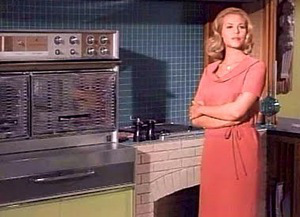 Samantha Stephens on the set of “Bewitched,” next to the jet-age Fridigaire Flair used on the set. 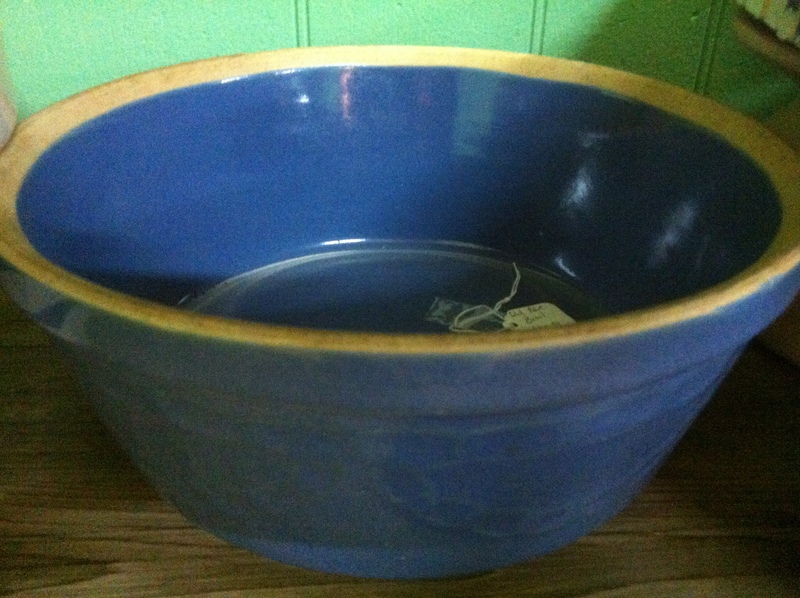 What kind of awesome (or awful) vintage kitchen wares did your house have when you bought it? Do/did you use them?